The exciting and scary images are hidden during the day, and will only appear under a flashlight at night. more via 1 | A Clever Book Kids Need A Flashlight To Read | Co.Design: business + innovation + design. This book isn’t nearly as high-tech as the stuff I often report on, but it is a great example of how a little adjustment of light, or even angle of light, can really change the image and the whole story. Vivid Sydney is underway at the moment, lighting up the city’s landmarks and cultural centers with swathes of color. As part of the festival Sydney Harbour Bridge has been turned into an interactive light sculpture. Two years in the making Colour The Bridge was created by production company 32 Hundred Lighting in partnership with Intel, turning the arching steel into a huge sculpture that can be seen from miles away. It utilizes the entire Western facade of the bridge, covering it with 2,000 LEDs and over half a mile of fiber optics. The light display is controlled by the public who can choose from a palette of colors using a large touchscreen and a simple interface. Anyone is free to walk up and create their own unique “painting” and see it come to life on the bridges iconic arches. more via The Worlds Largest Real-time Interactive Light Sculpture | The Creators Project. I LOVE information visualization! I’m always surprised by the different insights gained looking at a graph versus a pie chart showing the same information. So imagine the differences in 3D tangible paper! To mark their 350th year anniversary, The University of the Arts in Bremen, Germany, created a luminous interior installation made entirely from folded paper. The sculptural paper panels float through the Library staircase´s from the street level to the fourth floor, and changing text and images are projected onto them to make the library’s information more readily available to students. more pictures via Luminous Origami Art Installation Displays Digital Information at Bremin University Library | Inhabitat – Green Design Will Save the World. I have just one word: pretty! 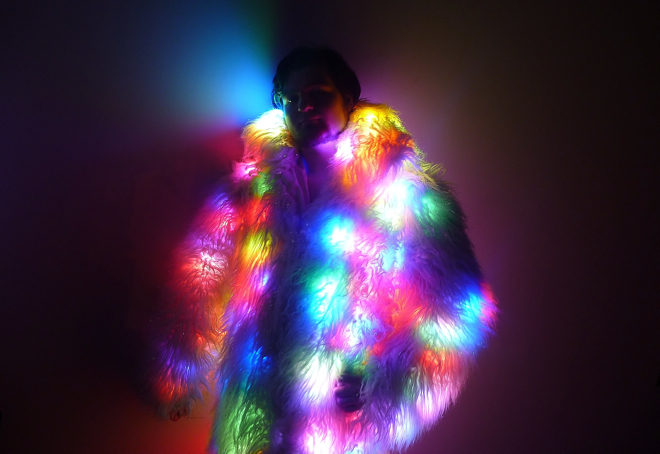 If you’ve always dreamed of colorful, glowing accoutrements, or just have some ideas for an upcoming Halloween costume, grab your soldering iron and a sewing needle: Here are a couple of products you can use to get a real 21st-century look. Photos via Jon Snyder/Wired.com. 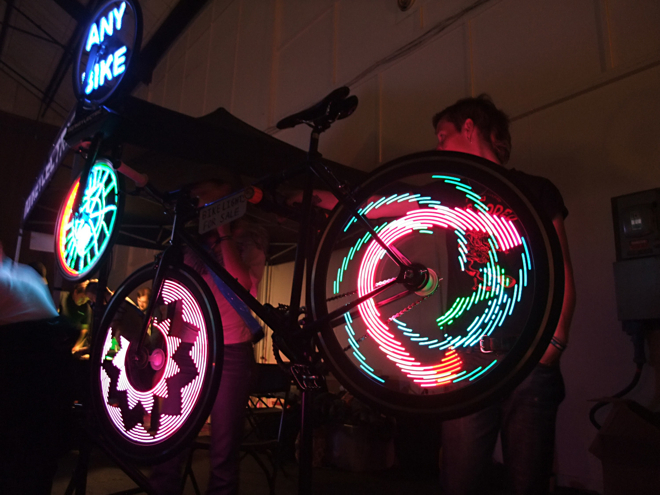 Check out more at Light Up Your Life With LEDs, Sewable Circuitry | Gadget Lab | Wired.com.